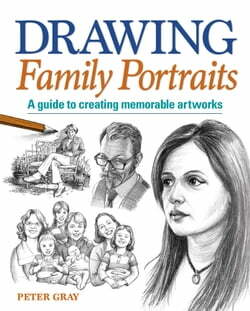 This professional guide to creating convincing artworks of family members, with step-by-step instruction throughout, is ideal for those starting out in portraiture. With extensive instruction on the crucial skill of capturing a likeness in a wide variety of styles, the exercises are clear and easy... read more to follow. Sections include drawing the head from the front and in profile, three-quarter views, head and shoulders and full-length portraits, group portraits, caricature and pastiche.